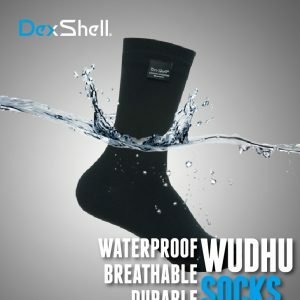 Your source for waterproof Wudhu socks! 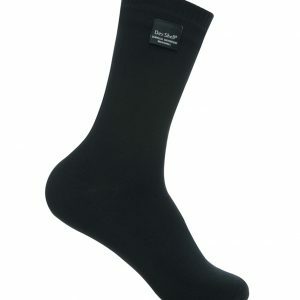 This is an over ankle length, light weight sock that looks and feels like a regular sock. A comfortable, shariah compliant alternative to leather khuffs, these socks are suitable for everyday use and designed specifically with the function of ablution in mind. Available in solid black, they provide the look of a professional dress sock making them perfect for work, travel, and more! Any applicable discounts are reflected in the shopping cart. © 2018 WuduGear. All Rights Reserved.